If you are on a low budget and you are looking for a stylish Chromebook that has been praised for its simplicity and reliability, then the Acer Chromebook 3 XE500C13-K04US should not be overlooked. The Acer Chromebook 3 XE500C13-K04US 11.6-inch is a bestselling Chromebook that has received positive reviews for its simplicity and compact size, and its decent performance and multitasking capabilities thanks to the 1.6GHz Intel Celeron N3060 processor paired with 4GB of RAM. Users also liked its all day battery life of around 11 hours, its reasonable price and its anti-glare display. However, some criticism was directed towards its tiny storage space and its disappointingly soft speakers. While it is great at getting basic tasks right, throwing anything more at it will force it to slow down. Furthermore, Chrome OS is rather limiting as it still does not have very many applications available in comparison to Windows. Lastly, some noted that the laptop was still locked to the previous owner’s account, meaning it hadn’t been factory reset. 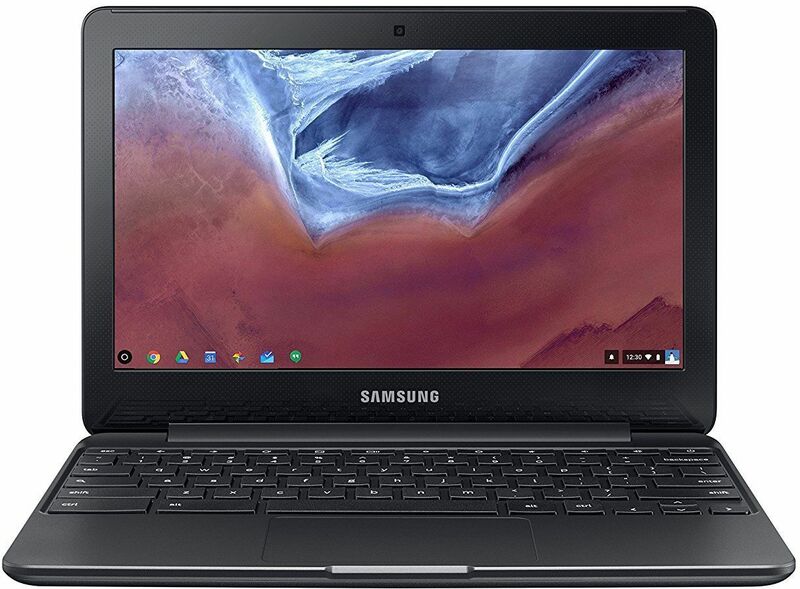 The $179 Samsung Chromebook 3 is a great little laptop for both school and entertainment.